The Neighbor A middle-aged man in a stagnant marriage finds his life upended when an attractive young woman and her seemingly abusive husband move in next door. Face 2 Face Over a series of video chats, a teenage outcast reaches out to his childhood friend, but finds that behind the veneer of popularity and a seemingly perfect life, she hides a disturbing secret. Another Year A look at four seasons in the lives of a happily married couple and their relationships with their family and friends. The Ash Lad: In the Hall of the Mountain King Espen "Ash Lad", a poor farmer's son, embarks on a dangerous quest with his brothers to save the princess from a vile troll known as the Mountain King - in order to collect a reward and save his family's farm from ruin. The Lucky Man A young charismatic preacher and his hot Latina girlfriend travel Route 66 scamming the small churches along the way only to find that the bogus healing powers he portrays become real. The healing powers serve as a blessing and a curse. Accident A group of teenagers suffer a terrible accident during a joy ride and get trapped at the bottom of a ravine. Crooked House In Agatha Christie's most twisted tale, a spy-turned-private-detective is lured by his former lover to catch her grandfather's murderer before Scotland Yard exposes dark family secrets. Day of the Dead: Bloodline A small group of military personnel and survivalists dwell in an underground bunker as they seek to find a cure in a world overrun by zombies. Same Kind of Different as Me International art dealer Ron Hall must befriend a dangerous homeless man in order to save his struggling marriage to his wife, a woman whose dreams will lead all three of them on the journey of their lives. 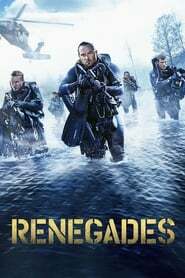 Renegades A team of Navy SEALs discover an underwater treasure in a Bosnian lake.